Every year more than 3 million reports of child abuse are made in the United States involving more than 6 million children. Over 20 percent of these are sexual abuse, according to Childhelp, a nonprofit organization dedicated to helping children affected by abuse. In the black community, this subject is often not discussed, but it's time to speak up in order to protect your children. #1 - Watch for signs of abuse: This can include physical complaints such as stomach aches and headaches. Abused children often withdraw and no longer engage in the activities they used to enjoy. These are often sudden changes in a child's behavior for which there seems to be no obvious reason. #2 - Talk to your child: The worst thing you can do is ignore it. It will not go away. You need to talk to your child and ask them questions such as "Is there anything bothering you or is there anything that you want to talk about?” It make take several questions to get to the bottom, but keep probing. You want to get to the root cause, so begin by asking them if anything happened at school. Then ask if anyone has been hurting them. #3 - Find a doctor who can help: This is important. 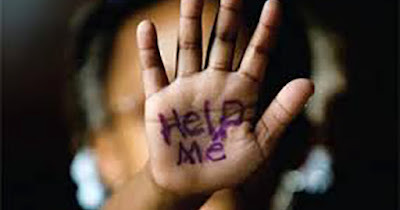 If sexual abuse has occurred, the child needs to be seen by a professional. This can include their pediatrician, a school guidance counselor, or another professional counselor. They can then recommend further treatment if necessary. #4 - Seek help to get your child away from their abuser: This step is best done through child and family services, and law enforcement if necessary. If a child has indeed been abused, it will likely not stop unless the child is protected from their abuser. Remember, sexual abuse against children can affect both boys as well as girls!